The jokester in me sits giggling in the corner and suggesting that I explain the long delay in this final post with a long adventure yarn having to do with my entry status in Belarus. But I’m typing this from my couch in Denver, having had precisely zero issues with my lack of an entry stamp when leaving Belarus.I probably would never have visited Minsk were in not the home of Steve and his wife. But they do live there for a little under half of every year, and so I’ve heard many stories from Steve about his enjoyment of the city. Minsk seemed like the perfect end to our adventure. Much of what we did in Minsk was walk around. Steve showed me many of his favorite areas and parks, and I was impressed by the size and quantity of them. There were many fountains, but unfortunately they had all been shut off for the winter. I imagine that just a couple of weeks earlier they would have been very beautiful. 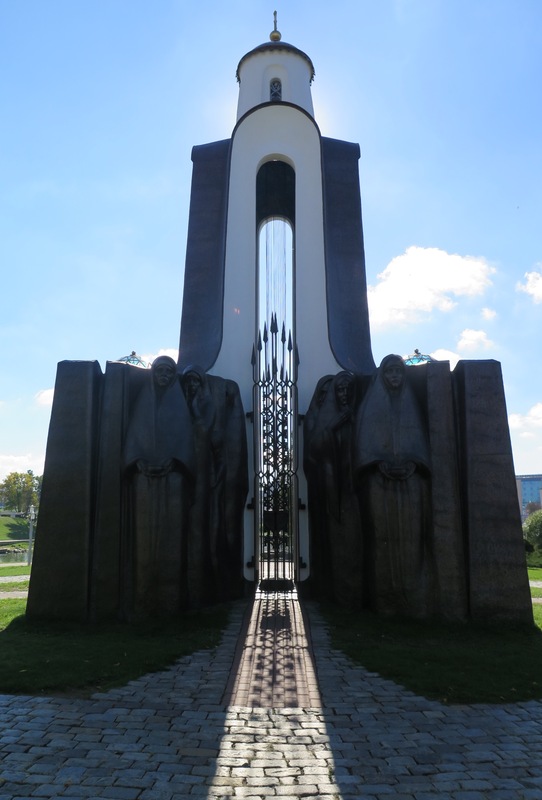 This monument is on the “Island of Tears”, and is dedicated to the memory of soldiers lost in Afghanistan. 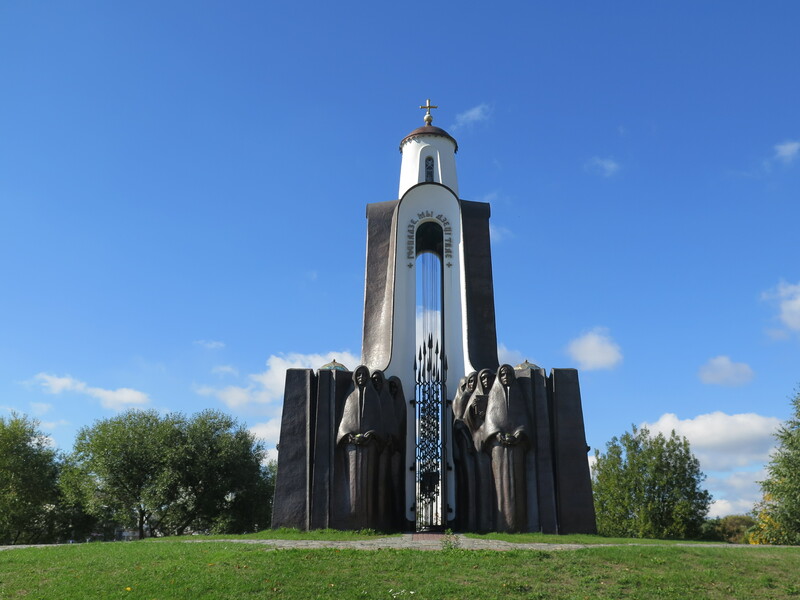 As I understand it, the monument was built by the women of Minsk. It features mothers, sisters, and children grieving for their lost men. 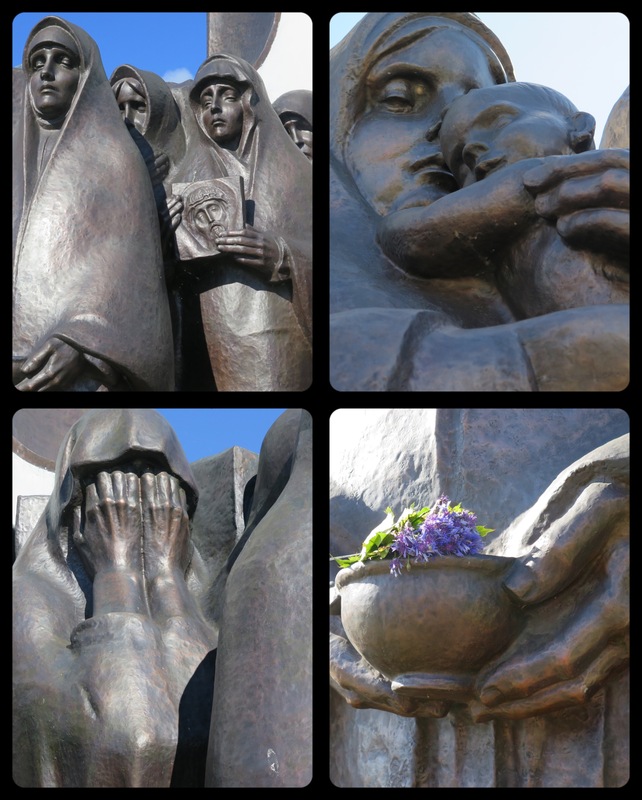 Some details of the sculptures that surround the monument. One more shot of this, because I found the shadows striking and beautiful. Inside the gates that are casting the shadows we could see two small temples with names on the walls. No entry was allowed. 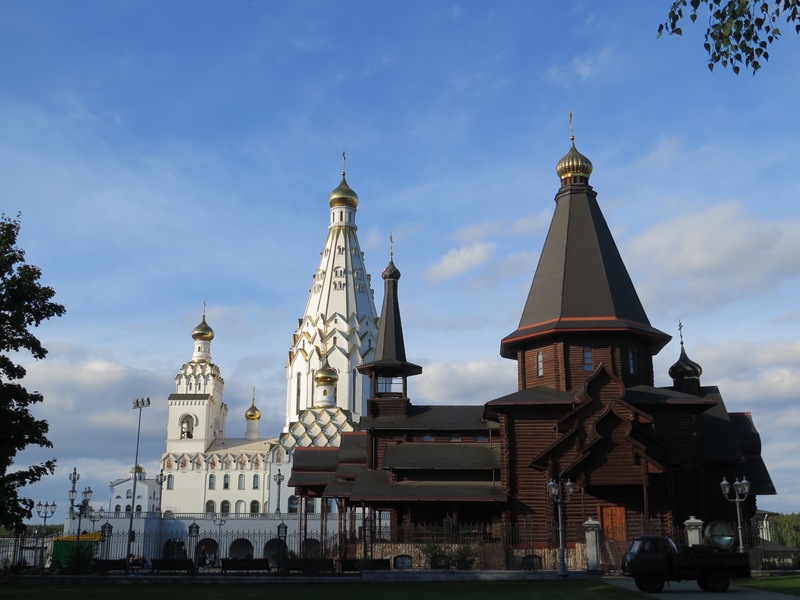 The wooden church in the forefront was built in part to house services while the white church in the background was being built. That church has been completed (or nearly so), but is not yet open to the public. 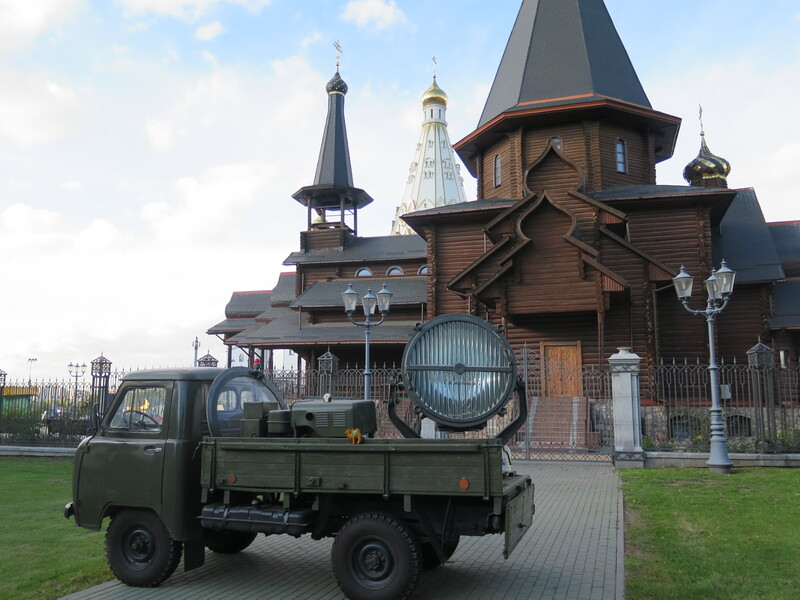 When we walked towards the churches we saw two trucks like this. And when we came around to the front of the church, we found a whole arsenal of people rehearsing for a big event. The following night, the President of Belarus would be visiting the church for a dedication ceremony, and this was the dress rehearsal. There were speakers and lights, cameras on track, choirs and schoolchildren, an orchestra conductor. 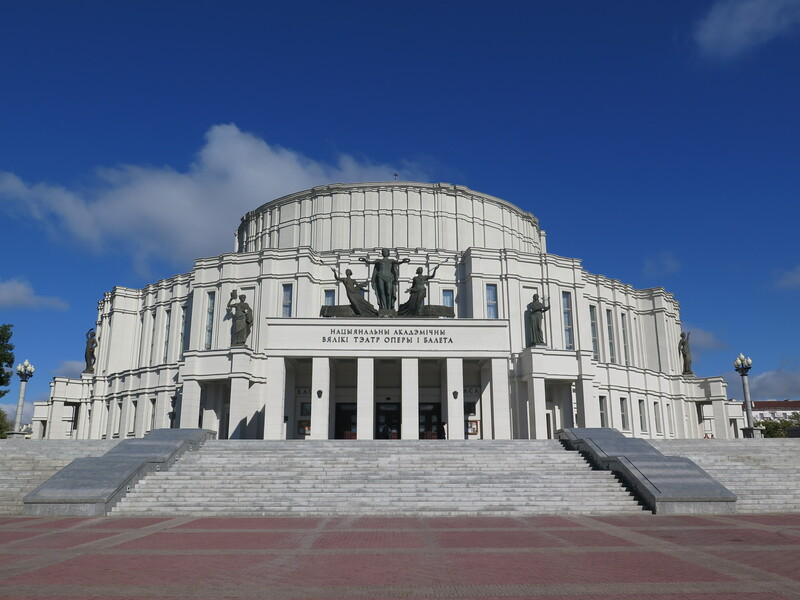 The Minsk Opera House. Beautiful and grand. 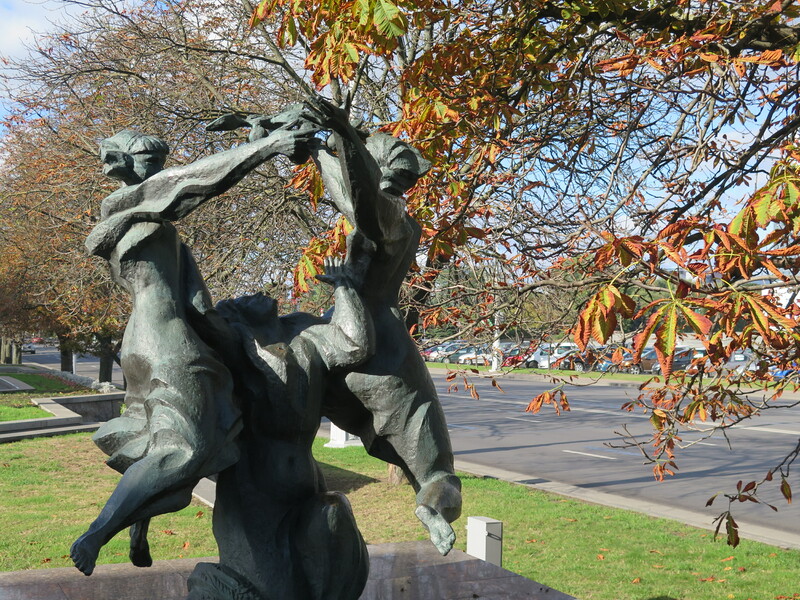 One street we walked along had sculptures of dancers. 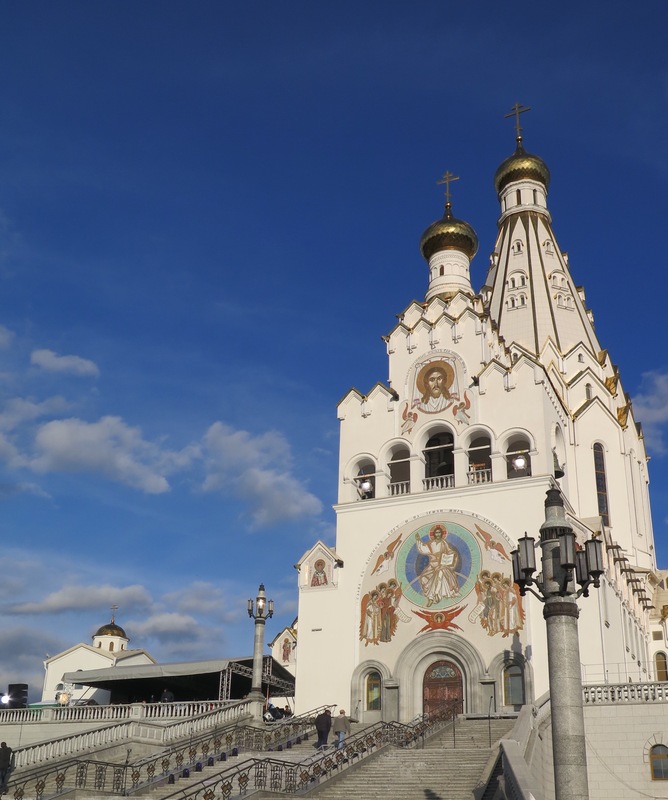 I enjoyed Minsk, and having a guided tour of the city. Probably we did not see as much as Steve had planned, though. In part I think we were both tired. (We had walked a lot and seen a lot in the previous three weeks, and there is a sort of exhalation involved in being “home”, even when it’s not your own.) But also I was distracted by the shopping. All through the trip, I’d bought very little. A scarf in Mongolia. Magnets and pamphlets here and there. Some small gifts for my godson and his sisters. Nothing very big, because I didn’t have a lot of room and didn’t want to increase what I needed to carry. But as of Minsk all I had to worry about were a couple of plane transfers on the way home. So it was time to get some gifts! But I am apparently a bit picky, because Steve took me all over Minsk in search of just the right gifts. Probably not the tour he was anticipating! But I did enjoy the city, the markets, the people, and the parks. Steve’s description of the tour is here. And then I was one a plane, headed back for the U.S. I was worried that three and a half weeks would feel too long, that by the end I’d be more than ready to go home. But it wasn’t too long; it was just right.